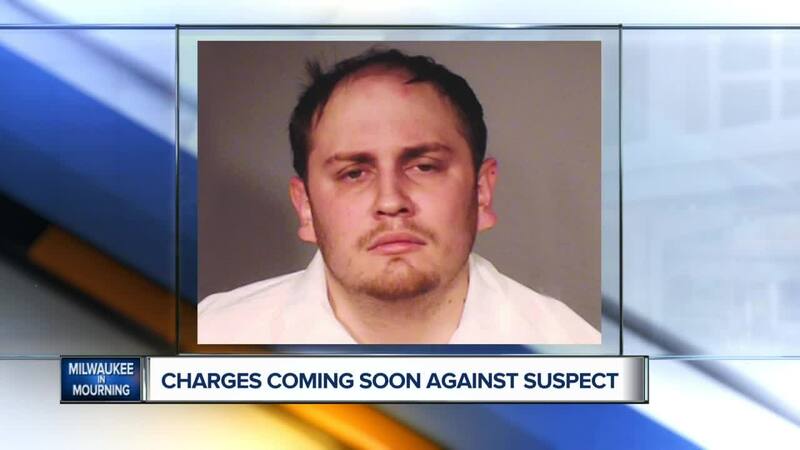 Milwaukee County's District Attorney says the case has been brought in for review, and charges should be filed in the coming days against Jordan Fricke, the man accused of shooting and killing officer Matthew Rittner while serving a search warrant. MILWAUKEE (AP) — The Milwaukee County District Attorney's Office is beginning its review of possible charges against the man suspected of fatally shooting a Milwaukee police officer. Late Thursday afternoon, a procession carrying Rittner's body made its way from the Medical Examiner's Office, past Miller Park where Rittner was married two years ago, and then on to a funeral home. Landmarks around Milwaukee, including City Hall and the Mitchell Park Domes, were lit in blue in Rittner's honor Thursday night. The city planned to hold a vigil for Rittner at Clement Zablocki School at 6:30 p.m. Friday.